So… it seems no one wanted to let me draw their maps for them, which means that I will have to rely on my own world. Just so you know, this map (as with everything written on this blog unless otherwise stated) is my property and as such, it may not be used without my permission. Right… let’s get down to business. 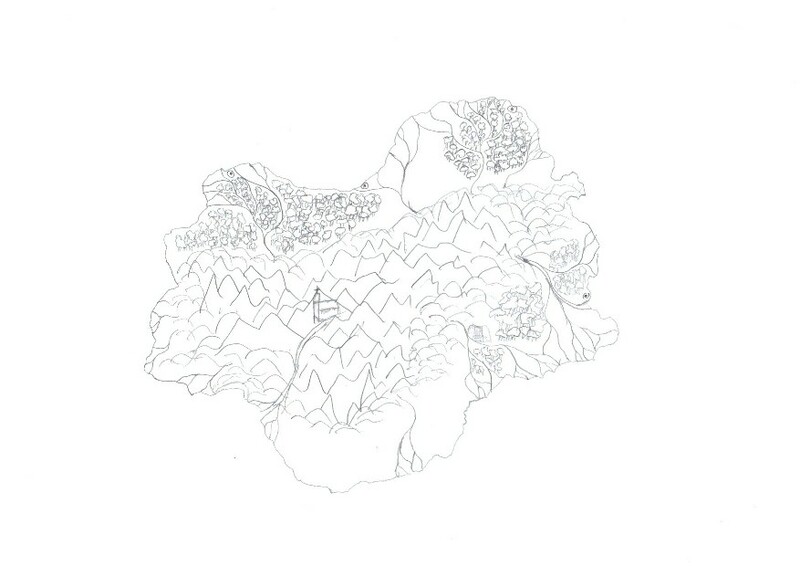 Rather than to redraw my entire map again, I decided that I will rather focus on an obscure bit of land on it. 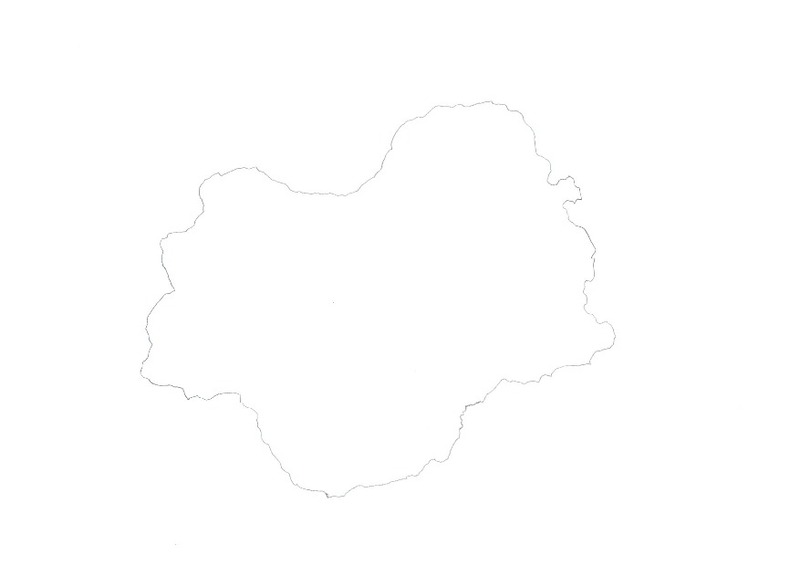 So on my already drawn map, there are three islands. I will be drawing one of them. But before I can actually draw the map, I like to make sure about what I want and where. Now with that done, I can start with Step 3: The outline. Use a pencil for this and please, for the love of my aunt Macy. PLEASE DO NOT MAKE YOUR MAP SQUARE!!! Note the squiggly lines, bays and capes. Looks a lot more natural than a lot of fantasy maps I’ve seen, if I say so myself. Step 4 are what I call the immovables on my map. The stuff around which I draw everything else. For me that will be things like mountains, rivers and deserts. But no deserts today only mountains and rivers. Now. 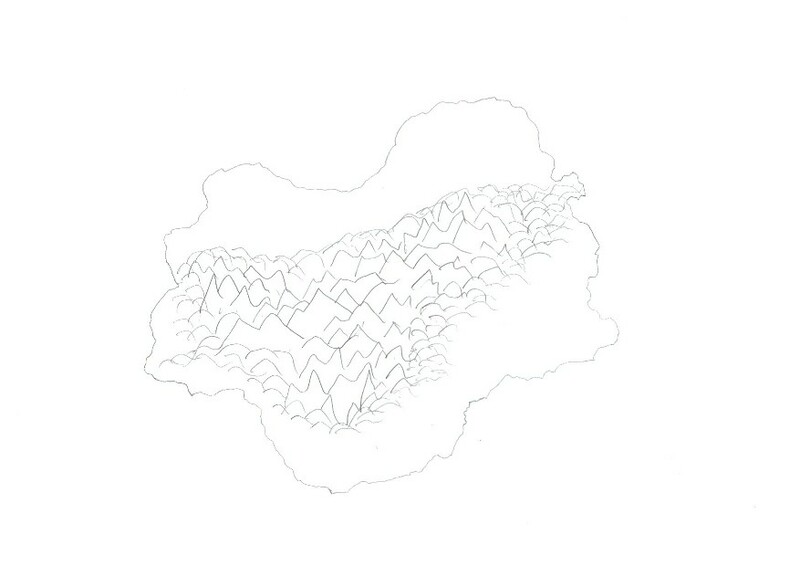 I know that this island is very mountainous, so I’m putting a lot of peaks on my map/ Also, I’m having my mountains start in hills so that I can have an indication of the shape of the topography… I decided not to draw features to scale for the simple reason that it’s unnecessarily finicky for my purposes. I want to know where I can find stuff and why. I’m leaving size up to my imagination. Anyway. Here are my mountains…. Also note, there are two major rivers at the lower half of the island. When they run into the sea, the border is erased between their banks. And yes. I know I have a lot of rivers. But that has to do the the geography of the area. It gets lots of rain and even more snow. Moving on… Step 5 will be putting in features. 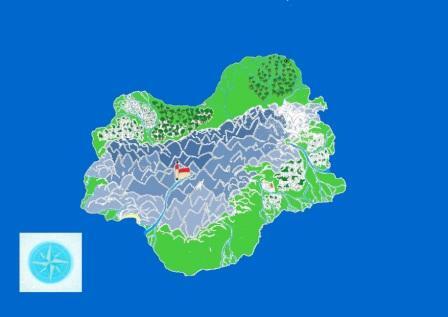 So cove, forests, waterfalls, monastery and towns are put in now. Generally, I keep it down on the details, using dots and names, but it can be rather boring, so I’ll be doing some drawing… I moved the monastery a bit, because a monastery in the mountains seems a bit more… suited. So I’m putting it in the valley. Almost done, then. Next step is the Compass Rose. But I decided to cheat a little, so I’m going to skip this step to later. So if you’re completely hand-drawing, you must draw the compass rose first. But today I felt like experimenting, so I’m going to use the paint application on my computer. 1) It’s killer to pencils as the water softens the wood. OK… so one thing I learned about this experiment: Filling colors on computer takes even longer. I don’t really like the effect it gave, either. So… I am not going to feel guilty about copping out and stopping now. It should give you an idea anyway. The top right hand corner is complete and now feels like a child’s drawing. 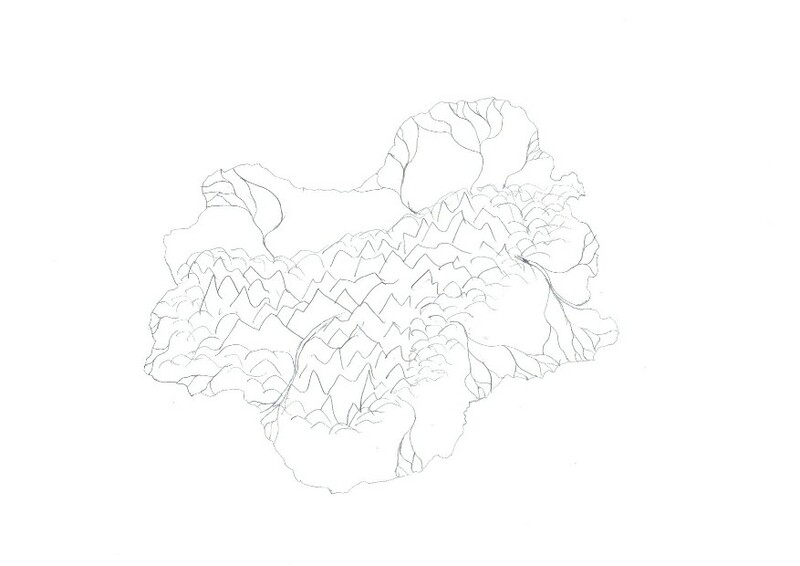 On the other hand, I like the way most of the mountains turned out. So I will probably go playing with my pencils to replicate the effect. But that is for another day. Also: I copy pasted an easy compass rose so that those of you who (wisely in my opinion) want to keep things hand drawn can copy it easily. One last thing about the compass rose. Use a ruler to create a (imaginary if you want a circle in the center) cross with legs that are equally long. Mark out where that cross ends as those are the widest points of the N-S E-W diamonds. Then extend the legs by an equal amount. The ends of those lines are the points. That is the foundation for any compass rose I’ve ever found. I hope you found this post helpful. One last tip. If you are going to use my wet pencil method and have never done it before, practice before you use it on your map as too much water can soak through the paper and ruin it. The edges of the map WILL curl. Wait for the colors to dry, straighten the paper and put weight on it overnight. Latitude: No rain forests unless your country is at the equator of your world. No snowy tundras at the equator. Deserts don’t just appear out of nowhere. They fade in from miles away. So no forests or moors next to the desert. Those take lots of water. Mountains tend to lie in ranges based on where the tectonic plates meet. If there are no plates, there are no mountains – unless your story has a god that likes sculpting, but mention that in your book. Towns will be most likely to be where the resources are. Think WATER, FOOD, FUEL. 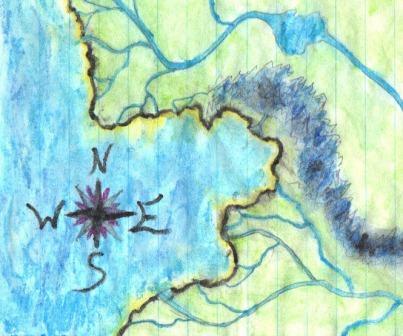 Remember to think of watersheds when drawing rivers. Watersheds are the places (tend to be mountain ranges) where to one side, water flows to one direction and to the other side, another direction. All rivers won’t flow to one side of the country. If you have a river flowing cross country, you better have a good reason for this. If mountains run with coasts, the coasts tend to be smoother. If they run perpendicular to the coasts, there will be more capes and bays or fjords. (See topographical map of Norway). Keep scale in mind when putting down towns according to the story. Stories and maps must correspond. What other considerations can you think of?